Erk - a male member of the RAF of the lowest rank. 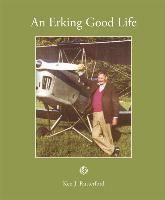 An Erk was a bloke that could be found clambering all over an aircraft. The aircraft he called a Kite. Without the work that was performed by Erks, the aircrews could never have flown. If he was an engine bod, then he would take on an oily, greasy appearance. He came in all shapes and sizes and was known to be very fond of WAAF company. Whenever work was needed on a kite he would be there and hard at it. Once he had satisfied himself that his work was well done, he would then skive away until he was needed again. He could detect a NAAFI van long before it came into site. He would never fail to visit it. It was a wad and a mug of char that kept him active. When not found on an aeroplane, and if he was to be seen at all, then he would probably be riding a bike.